In today's competitive environment, it is all about the end-user! Traditional network performance and availability monitoring tools are not integrated and despite continued spending by enterprises, research shows the end user visibility gap is actually increasing. 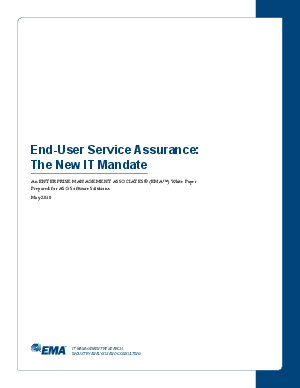 Read this topical and informative white paper from EMA Research and see how you can attain peace of mind that your end user's application performance will exceed expectations.